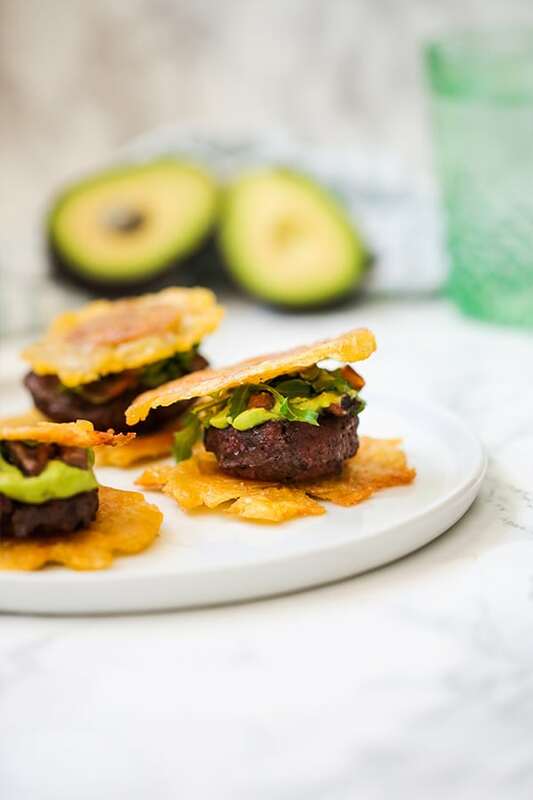 These tostone sliders are the perfect way to satisfy your burger craving without the bun, and will leave you wondering why you’ve never tried this before! They’re paleo, whole30, AIP. I didn’t really commit to eating red meat until I was in my 20’s! I didn’t like the texture, and my digestion wasn’t strong enough to break it down. But even then, I still liked sliders the most! Sliders are hands down one of the most fun ways to eat a burger. They’re perfect for kiddos, for appetizers, and just for mixing it up. Sliders are also the perfect opportunity to use real food based starches for a bun, like sweet potato sliders, and now tostone sliders! 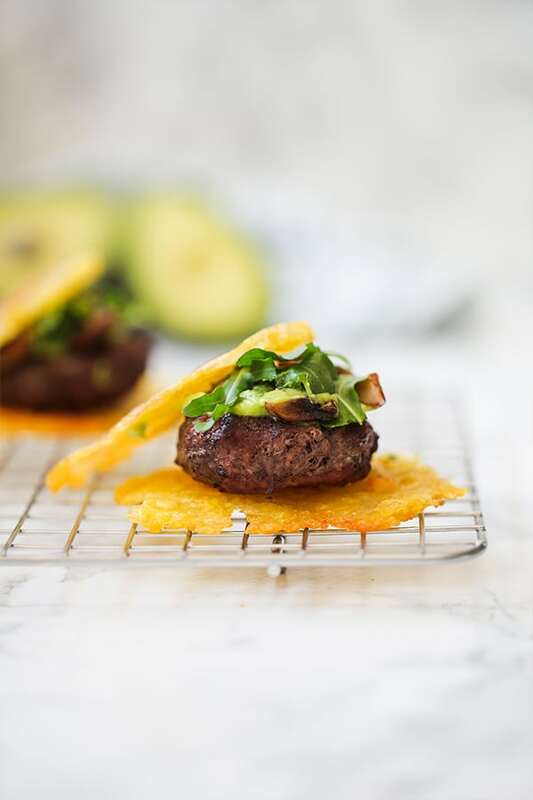 Yup… plantain burger buns. Pinch me, right? I first became acquainted with the idea of tostone burger buns through videos of restaurants doing it. It seemed like a fun idea to try and make this naturally grain free recipe into an AIP friendly dish… and boy am I glad I did. Tostones make an amazing bun substitute for sliders. They’re not fluffy like a traditional bread bun, but they’re crispy and delicious! It’s different, but it’s still incredible. My husband agreed that they’re just as good as regular burger buns… if not better. These sliders are a great meal that you can make for a fun weekend dinner or the perfect appetizer for a cookout! They’re the perfect finger food but are still satiating enough to be a whole meal when paired with a side. Green plantains are what make the tostones! I often find green plantains at stores like Fiesta, Whole Foods, Aldi, and more. If a store carries plantains but you never catch them when they’re green, ask a manager about calling you when they come in green. You can also make this with mini turkey burgers or even make mini’s of my avocado spinach chicken burgers! These toppings are opinional. You can mix it up to whatever you’d like. In my opinion, you’ve always gotta have avocado on a dairy free burger. It adds that creamy texture but without the cheese. Form the ground beef into small sliders (about 8) and season on both sides. Place on the baking sheet and bake for 25-30 minutes (or until cooked through), flipping halfway. See notes for other cooking methods. Peel the plantains with a knife and slice them into about 1-1.5″ slices. Heat the oil in a large, deep frying pan and fry the plantain slices (flipping once) until lightly browned and softened. Do this in two-three batches if necessary. Carefully remove the plantains from the heat and allow to slightly cool. Use the flat bottom of a drinking glass to press the plantains down. Do this one by one and set them aside. Return the flattened plantains to the pan and lightly salt. Fry for 3-4 minutes or until crispy. Sautee the garlic until lightly fragrant, then add in the onions and mushrooms. Season with salt and cook until softened. 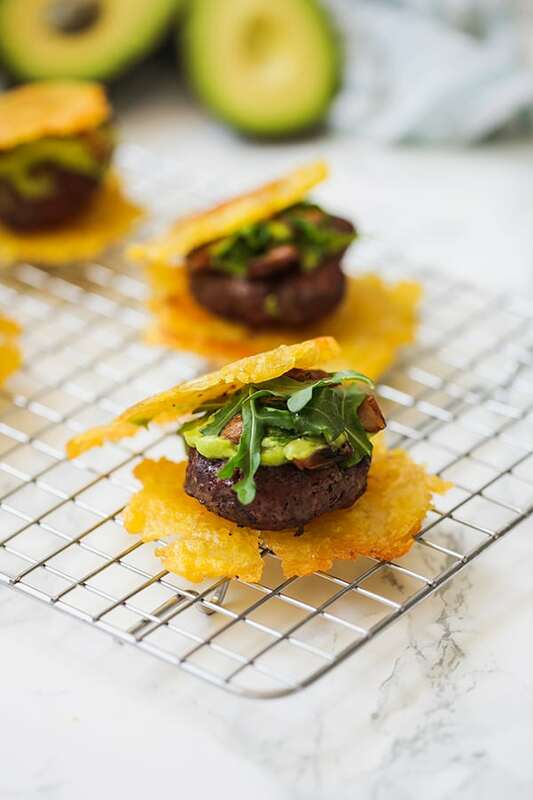 Assemble the sliders with one tostone, one slider, veggies, avocado, and arugula, and then finishing with another tostone. You’ll have about 8 sliders in total! You can also grill or fry the burgers! 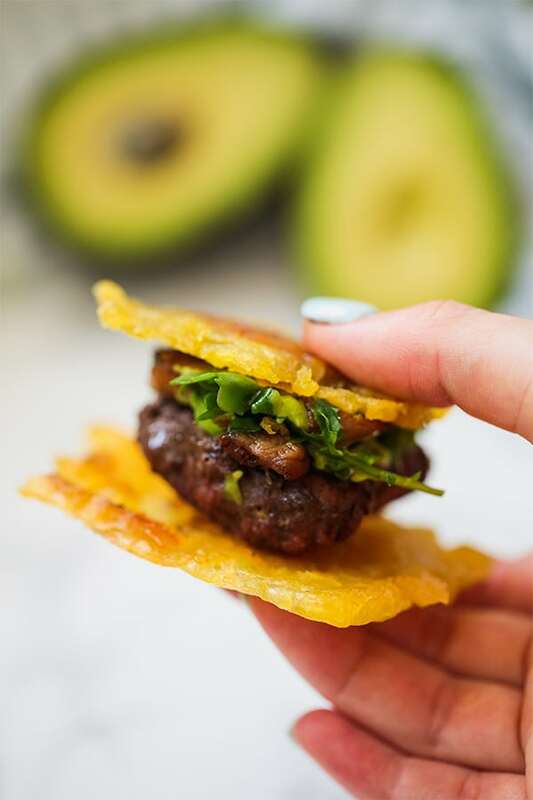 This method is easier and allows you to focus on the tostones while simultaneously cooking the burgers.